2018 Wicklow 200 Cycling Kit Launched! 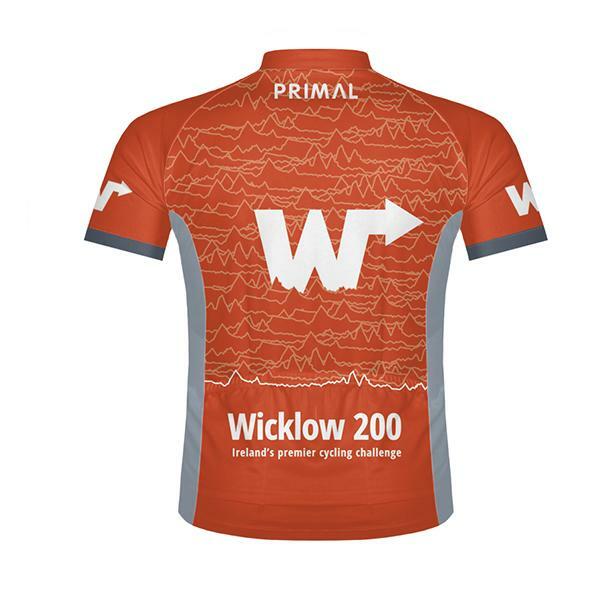 World renowned cycling clothing manufacturer Primal has produced a slick new range of clothing for Wicklow 200! One of the most sought after brands in the world of cycling apparel, Primal Europe has supplied professional and club teams as well as many mass participation events over the years. Now, the in-house design team at Primal have produced a dynamic new Wicklow 200 collection ahead of the 37th edition of the event. The new range includes a jersey, cap and gilet featuring the distinctive W200 logo and signature lines illustrating the arduous profile of Ireland’s toughest annual mass participation bike ride. Orders for the three items will be taken from now until 29th March for collection at the event on June 10th. A special discount of 15% for event entrants will apply to all orders received before the cut off date of March 29th. Event entrants, please check your inbox for your special discount code!